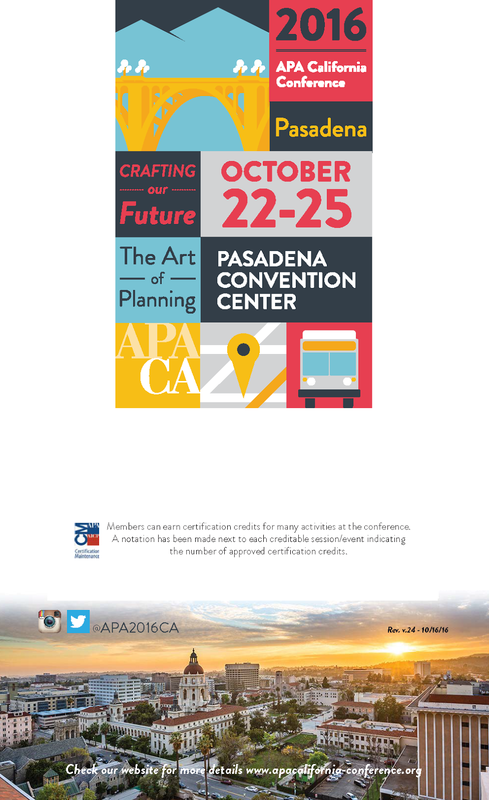 TransportiCA is proud to be covering the 2016 American Planning Association's California conference in Pasadena, Saturday to Tuesday (22-25 October). Follow us live on our Twitter @transportica. Conference program information can be found here.